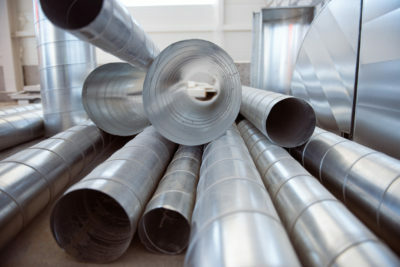 There are many different ways ductwork can become obstructed. To determine if you have clogged ductwork, there are a few symptoms you might come across. If you have any of these symptoms, a certified HVAC technician can provide options on how to clean them and improve the efficiency of your HVAC system. There are a few ways to determine if the problem with your HVAC system is due to clogged ductwork. All of these symptoms are evidence that your ductwork is either clogged or obstructed and needs to be inspected by an HVAC professional. When your ductwork is blocked it reduces the airflow inside your home and can also reduce your indoor air quality. Discovering the reason behind obstructed ductwork and repairing the problem prevents it from happening again in the future. Typically Lexington homeowners should have their ductwork cleaned annually to prevent major problems later. Climate Control is able to assist you with your ductwork problems and improving the efficiency of your HVAC unit. Call us today and schedule a service call with one of our skilled and certified experts! Why Does My Lexington Air Conditioner Smell?